I'm so honored to be featured in the latest issue of Rural Intelligence! 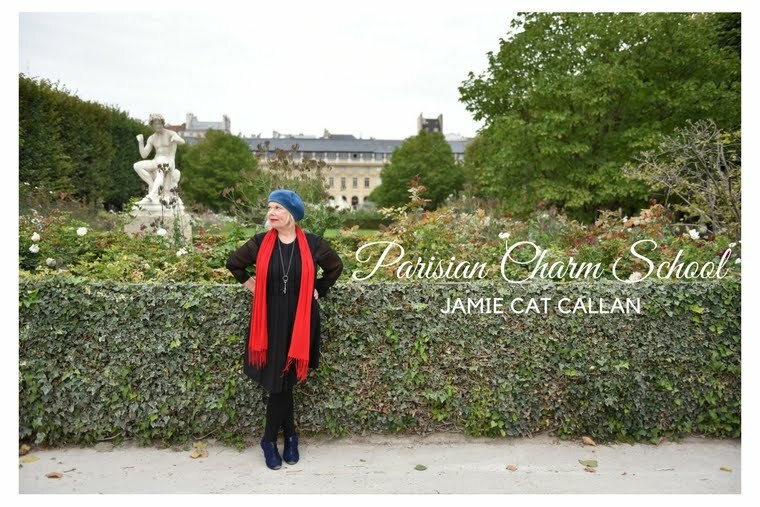 Jamie Cat Callan is the author of the bestselling books “French Women Don’t Sleep Alone,” “Bonjour, Happiness!” and “Ooh La La! 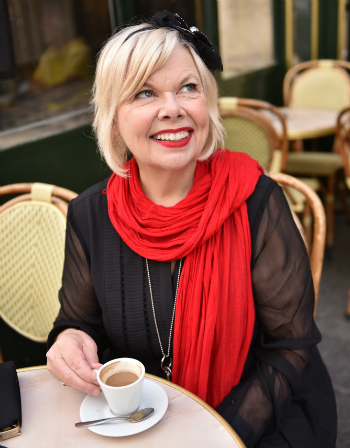 French Women’s Secrets to Feeling Beautiful Every Day.” Her next book, “Parisian Charm School: French Secrets for Cultivating Love, Joy and That Certain je ne sais quoi,” will be released on January 2, 2018. Her books have been published in 21 countries and have been featured in The New York Times, Vanity Fair and Time. Jamie, a Bard College graduate who has lived in Europe, on the Cape and in Los Angeles where she earned her MFA in screenwriting from UCLA (and worked for Meg Ryan), is happy to be back in the Hudson Valley. She and her husband, a former climate change scientist, are the owners of La Belle Farm in Valatie, New York, where they’ve lived since January of 2015. I’m originally from Connecticut and met my husband there. When he got a job on the Cape, we lived in Woods Hole and Mashpee for a total of 10 years. When he wanted to retire and become a gentleman farmer, we moved to a farm from the 1820s. We have 50 acres and all the farming is done by my husband. We have chickens, turkeys and a huge garden. I pick berries — that’s the extent of my work — but I’m very involved in the Valatie Farmers Market. In January, Penguin Random House will release the fourth of my French lifestyle books. My grandmother was French and I grew up watching her and being aware of the differences between her generation and my generation of the ‘60s and ‘70s. The books are really an homage to her. I’ve traveled to France many times and I’m a huge fan of the culture. But I don’t think a reader has to have French relatives to “get” the books. They’re about honoring the lovely things of the past instead of doing things only for the sake of efficiency. When I lived in a little village in Southern France, they had no clothes dryers and the clothes smelled so nice from being hung outside on the line. In fact, the part of the world where I live now reminds me of that. For American women, and for American men as well, there are certain lovely, old-fashioned things that our European ancestors understood: enjoying fresh air, taking your time, walking everywhere, less is more, not collecting a lot of stuff you don’t need, and appreciating what is in front of you right now. We know French women are fashionable, but actually they don’t spend a lot of money on their clothes. They mix it up with scarves and jewelry; they’re big on consignment shops and items passed down to them by relatives. 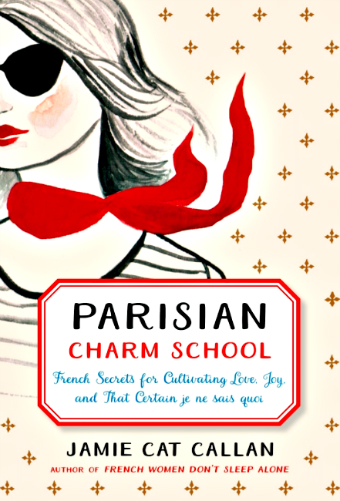 Parisian Charm School's first chapter is about using one’s intelligence. Intelligence is probably the most charming, most seductive thing a woman can possess. I talk a lot about intelligence, honoring the past and reading books. One word I use to describe the way French women approach life is “artful,” which they apply to everything from creating an interesting ensemble to cooking and gardening. Here it’s more about time, efficiency and money. We say we have the right to “life, liberty and the pursuit of happiness.” They don’t have this exactly; they have la bonheur, which translates literally to “a beautiful hour.” They’re not running after it or pursuing it – it’s all right there in your kitchen, in the apple torte you just made. What makes French women so appealing is how they’re such individuals, they have their own style based on what their mothers and grandmothers have taught them. What’s beautiful is finding out who you are. If you enjoyed this post, please consider pre-ordering your copy of Parisian Charm School, s'il vous plait. I so appreciate your support!